If Don Draper were going westwardly rogue today, he’d look no further than the Phoenix. 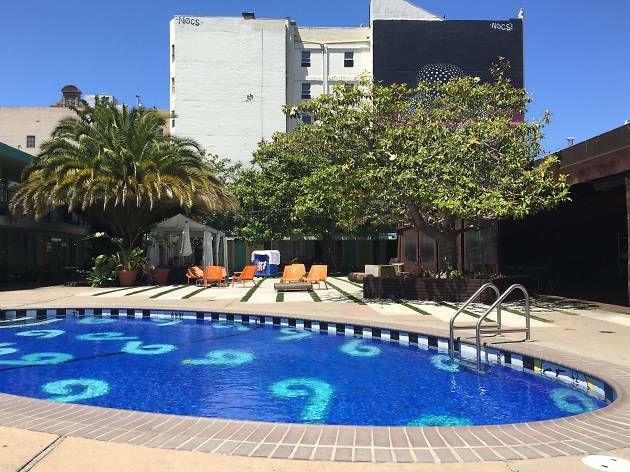 This funky pastel paradise in the Tenderloin evokes a 1950s beach motel, complete with tropical courtyard, studio-evocative swanky rooms, and, of course, a pool at the center of the action. The hotel is a rocker’s dream home base—and, for some legends such as the Red Hot Chili Peppers and Pearl Jam, a reality as they were making names for themselves in the Bay. 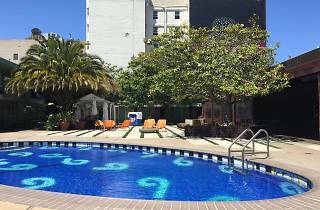 You can feel their footsteps throughout the boutique hotel and out the door to the nearby Bill Graham Civic Auditorium and Great American Music Hall. In accordance with the relaxed but attentive design, Travel & Leisure called the Phoenix their #1 Hippiest Hotel in 2012, as if it needed more chill.